FERENC NEMETH is an accomplished and versatile musician who continues to push the boundaries of jazz drumming and composition. 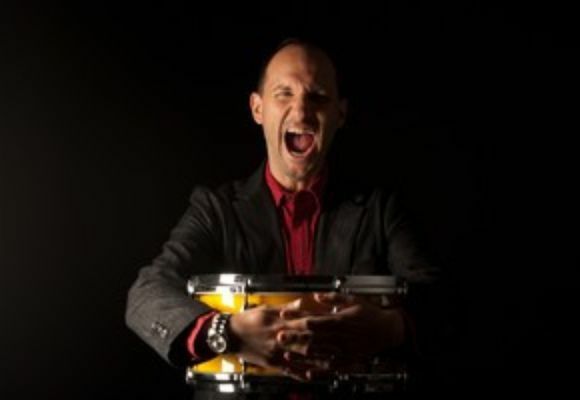 Nemeth has since the early days of his career, been one of the most sought after drummers both, in his native Hungary as well as in the United States. Coming from a musical family, his unique dynamism and versatility was fostered from a very early age. An exciting performer and imaginative collaborator, Nemeth is well regarded for his work with the Lionel Loueke Trio and GilFeMa and has also travelled, performed and collaborated extensively as a bandleader, co-leader, sideman and educator as well as initiating creative projects of his own. From his early days at the Berklee College of Music in Boston and the Thelonius Monk Insitute of Jazz in Los Angeles, Nemeth has learned from and worked with the world's finest jazz musicians and groups including Herbie Hancock, Wayne Shorter, Terence Blanchard, the Billy Childs Trio, Bob Sheppard, Dave Carpenter, John Clayton, Jimmy Heath, The Henry Mancini Orchestra amongst others. Relocating to New York in 2003, Nemeth’s distinctive energy and drive saw his career continuing with many of the same musicians, and also expanding to include the likes of Christian McBride, John Patitucci, Lionel Loueke, John Abercrombie, Dave Samuels, Mark Turner, Hal Crook, David Benoit, Bud Shank, Greg Hopkins, Phil Wilson, Dave Grusin, Eddie Daniels, Eddie Henderson, Ron McClure, Chris Cheek, Aaron Goldberg, Kenny Wheeler, Eli Degibri, Jonathan Kreisberg, John Ellis, Omer Avital, Jason Moran, Ilayaraja, Kenny Werner, Gilad Hekselman, Eldar, Reggie Workman and Dhafer Youssef. Many of his collaborations have become long-standing partnerships spanning over a decade. 2003 was also the start of Nemeth’s involvement with GilFeMa, a trio also featuring Lionel Loueke and Massimo Biolcati. The trio, who had been playing together since the Berklee days continued their creative efforts in this format with all three contributing compositions to the 2004 album, eponymously titled, GilFeMa (ObliqSound). Notwithstanding, college fraternity and friendship, Nemeth’s natural great range coupled with his dynamism, complexity and improvisation makes him a perfect partner in the Loueke-Biolcati-Nemeth cooperative. His contribution here as well as with other collaborations is evidence of his great versatility, which informs a unique musical personality. His expertise and vast knowledge beyond traditional jazz, has also seen him move effortlessly through contemporary jazz as well as pop, rock, electro-pop, hip hop and increasingly into ethnic and culturally diverse disciplines. Beyond the extensive repertoire of performance and recording, Nemeth has also established his own label, Dreamer’s Collective Records and in 2007, released his debut album of original compositions, Night Songs to much accolade and features such luminaries as John Patitucci, Chris Cheek, Mark Turner, Lionel Loueke and Aaron Parks. Displaying sophistication and self-assurance, the recording has established Nemeth as a composer and arranger in his own right. A second project for the label, due for release in the fall of 2012, sees Joshua Redman, Kenny Werner, Lionel Loueke as contributors, as well as a small wind orchestra. For over 10 weeks the album was among the Top 15 on the CMJ Jazz Charts. Both of his albums were finalist at the Independent Music Awards in 2008 and 2012, respectively. “Imaginary Realm”, the third album for the label was released in 2013 and it features a duo with Javier Vercher, one of Nemeth’s long time friend/bandmate. The fourth album of the label is due to the fall of 2014 and it’s a collaboration with Hungarian legend, guitarist, Attila Laszlo and features two Grammy winning musicians, Jimmy Haslip and Russell Ferrante, besides two incredible vocalists, the Hungarian Charlie Horvath and the Spanish Lara Bello. An ever-present thirst for exploration and experimentation has seen Nemeth travel widely and play with musicians from a variety of backgrounds and countries. This occupation in turn, has also resulted in Nemeth’s regular participation in workshops and teaching programs in the United States and internationally, the most recent being stints at the University of Siena and the Swarnabhoomi Academy of Music in India. In addition, in 2011, Ferenc has launched an app at the Mac AppStore called "Drum School", that is an educational tool, including over 300 drum grooves and hand excercises. This app is a rhythm library, an instructional DVD and a method book, all in one.